This quilt gave me a little lesson in art history. We visited my Aunt and Uncle a few years ago in Montreal (2015, I think). They have this blue/red/yellow/back/white motif around their home in various incarnations: little coasters, it's painted on their garage door, and a few other things scattered around their home. I figured it would be fun to do as a quilt for them and parked the idea. Meanwhile, late 2017 - early 2018 I started doing some research for my Art Deco quilt. And guess what? This motif started popping up! It turns out the Dutch artist Piet Mondrian popularized this motif in his artwork back in the 1920s - 30s. 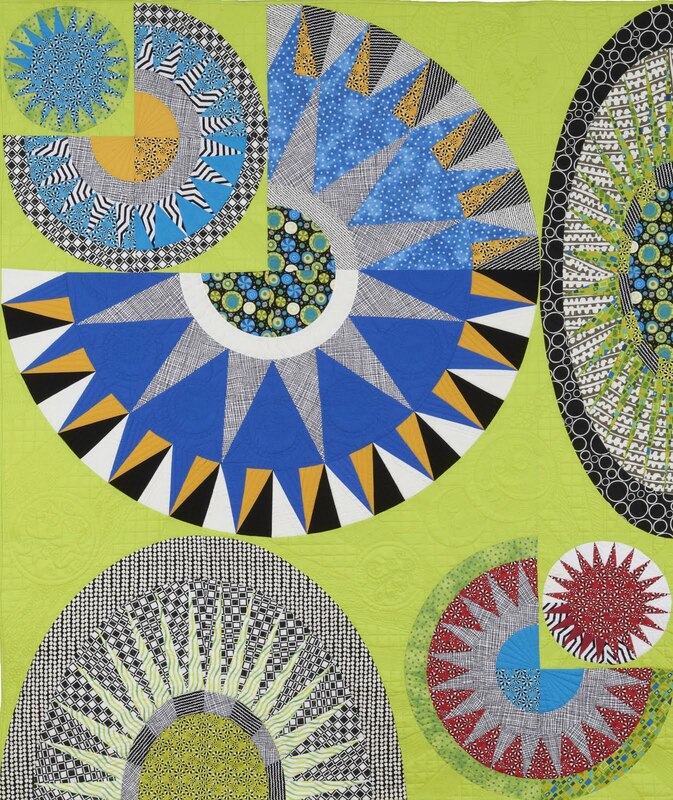 So without knowing it, this quilt was initially inspired by the art of Piet Mondrian! 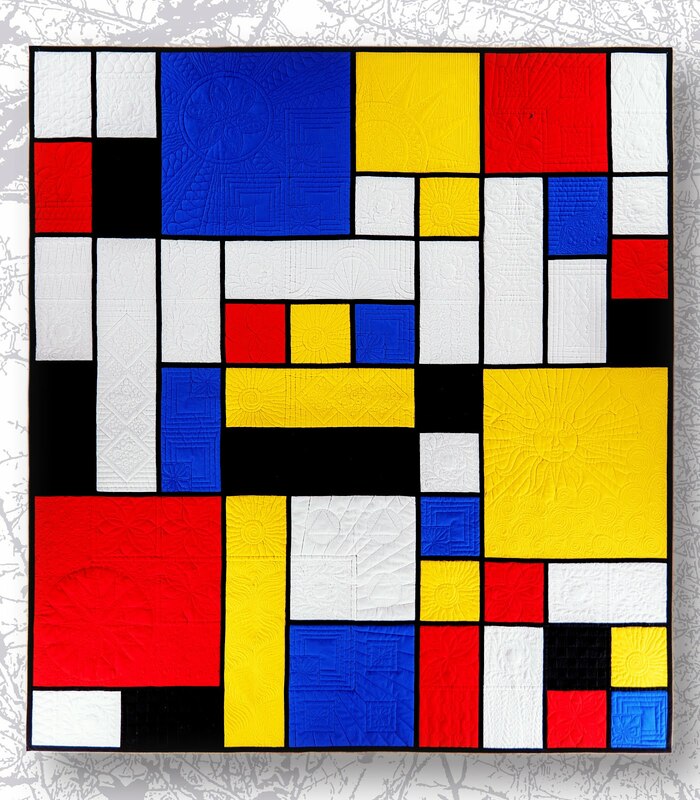 I will be publishing a Mondrian quilt pattern that will be almost like this one in the next few months (goal is to have it ready for Heritage Park Festival of Quilts and hope that at least one of the local stores will agree to carry it). However, this quilt will go to my Aunt and Uncle as planned. It has one partial seam. I decided that doing a pattern with one partial seam when it really doesn't need to be there is just silly. So the pattern will not have any partial seams and I'll make another one for the cover pix and test the pattern at the same time - and yes, I will be asking for other testers! I should add that the black sashing is actually pieced. I know it looks a bit like a stained glass quilt where the black would typically be appliqued, but this one is not like that. Mondrian has lots of big areas to quilt. My thinking was that I would do a distinct motif for each colour then fill in around said motif in the larger squares. I ditched all the sashing around the blocks first (used black Decobob) to anchor the quilt to the backing - then I could roll up and down without worrying about things shifting. Glide thread for the rest of the quilting - matching each colour. Here are some pix of the quilting. Quilting doesn't show up much on black so I created a one inch grid and filled in every other square, to give the black some texture. It's fast, easy and (I think) cool! (Above) - you can see the motifs for each colour. Although there are exceptions, a motif went into each colour block. The minimum size blocks are 6" x 6" - anything bigger would get the motif and something else. Also, as per the white above, in the larger squares/rectangles, I would mimic the six inch blocks by stitching in a 1/2" virtual sashing. 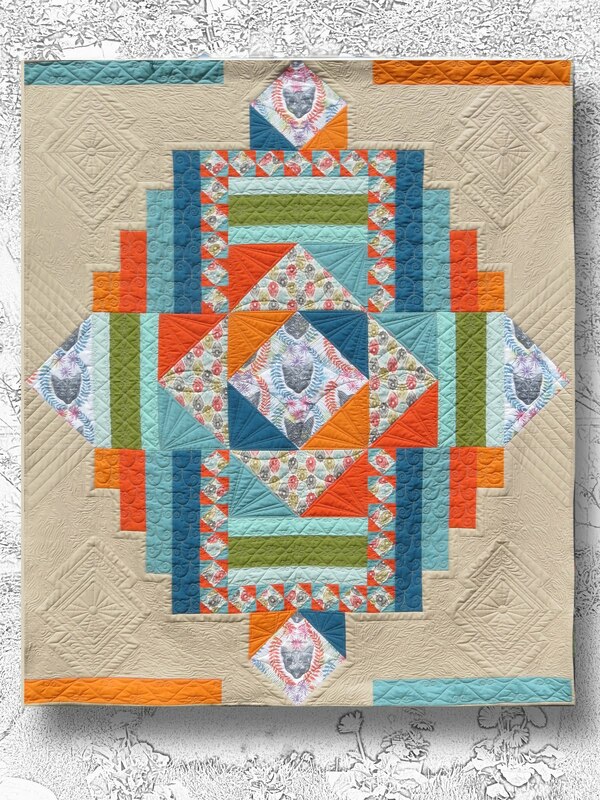 If you're a quilter, this kind of quilt is great fun to quilt. 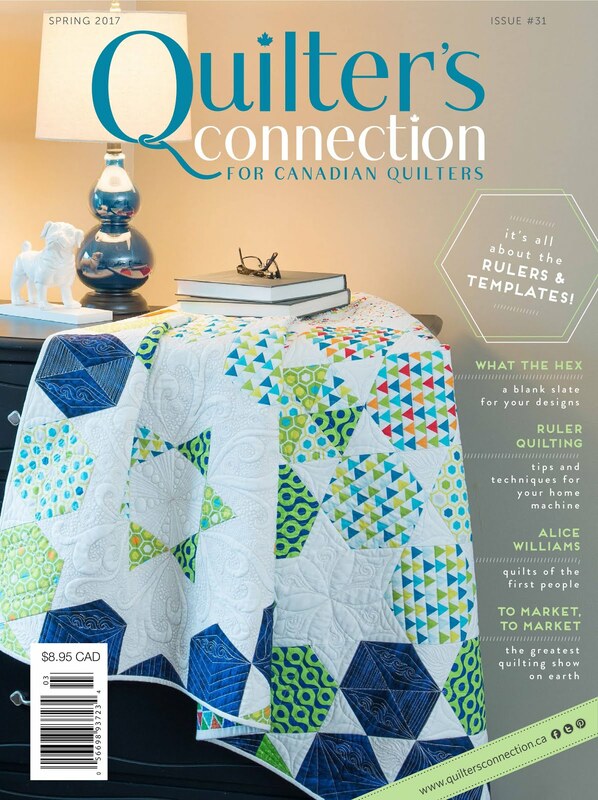 You can try out new ideas without having to commit to a whole quilt and you can practice things you've done before. There's a little of both those things in my quilting here.